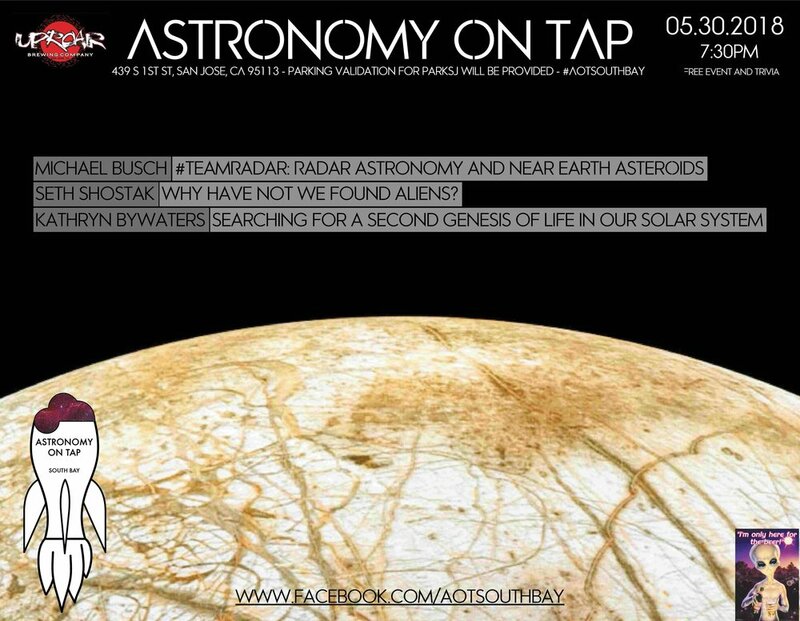 Astronomy on Tap (AoT) is a free public lecture series featuring ground-breaking research presented by scientists from around the world. The original AoT was started in NYC by Meg Schwamb, but has since exploded in popularity with local chapters popping up all over the world. The South San Francisco Bay chapter was started by Trisha Ashley and myself in the fall of 2017. Since that time, we have hosted speakers presenting on topics ranging from the search for life in the Universe to polarization of dust in the interstellar medium and everything in between. 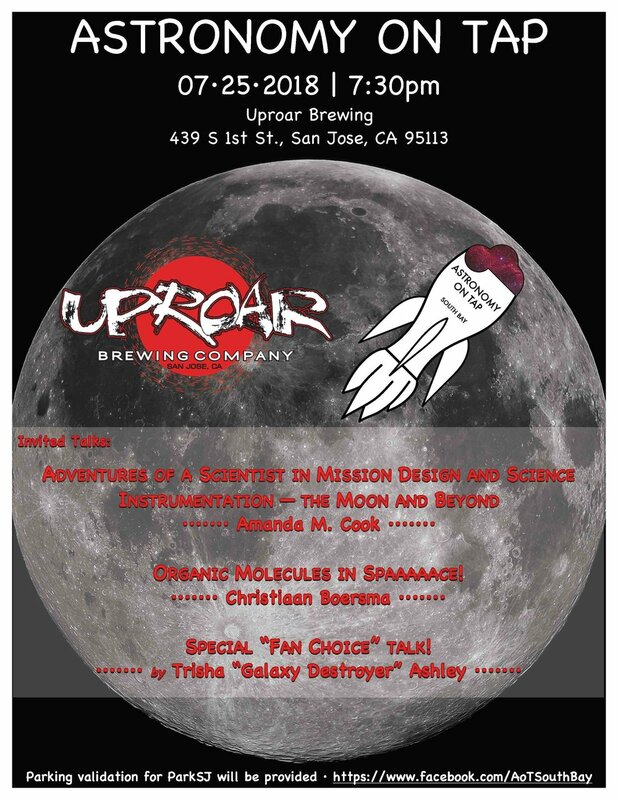 Not only should you come to our next event to get your fill learning about cutting edge science research, but also to challenge yourself to our astronomy trivia, enter to win prizes, and enjoy some great locally brewed beer! Enrique Lopez-Rodriquez, Staff Scientist, SOFIA/USRA - Active Galaxies and Mantis Shrimp… Wait, did I just read mantis shrimp? Chris McKay, NASA Senior Scientist - Enceladus: A Moon of Saturn with a Life of Its Own? Christiaan Boersma, Research Scientist - SJSU / NASA Ames - Organic Molecules in Spaaaaaace! Seth Shostak, Senior Research Scientist - SETI Institute - Why Have We Not Found Aliens?